Could this car have been one of the inspirations for Reg Hill’s design for Supercar from the Gerry Anderson TV series? An image of the 1960 Cadillac Eldorado Fleetwood, taken from a Glenmorangie Scotch Whisky advert in 2011. The 1959 Cadillac Eldorado Biaritz and 1960 Eldorado Fleetwood designs from General Motors are a possible source of inspiration for the Supercar design and were current cars around the time of Supercar’s creation. 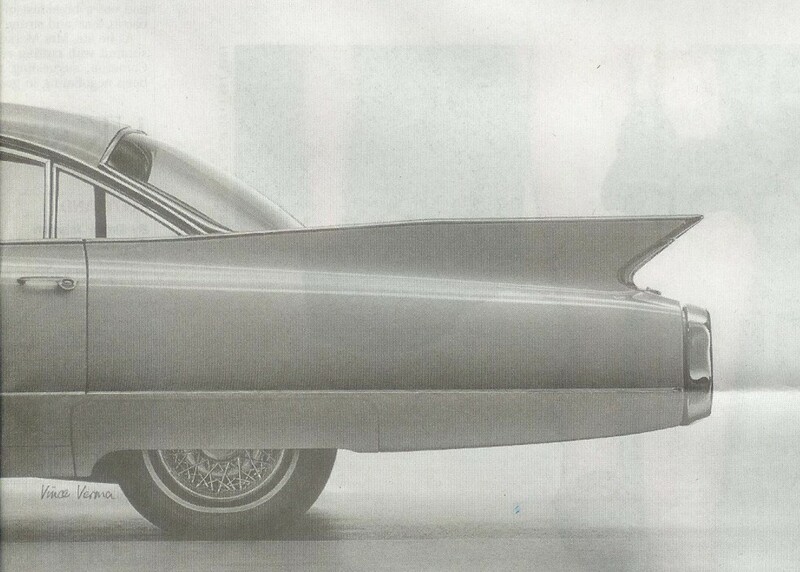 The 1959 and 1960 Eldorado side profile to the rear is similar to that of Supercar and its 192cm long fins closely match the shape of Supercar’s. 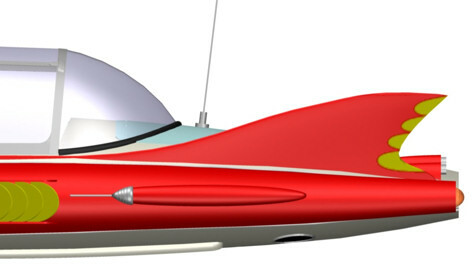 This entry was posted in Gerry Anderson, Supercar and tagged Gerry Anderson, Supercar. Bookmark the permalink.